Shu Qi, Tony Leung Chiu-Wai, and Richie Ren raid Seoul in Seoul Raiders. The Skinny: Passable Lunar New Year fluff for the masses. Seoul Raiders neither thrills nor insults, and is ultimately less interesting than the paper-thin original. Affection for the stars is an absolute must. It's been five years since Tokyo Raiders was a Lunar New Year hit, and nobody was really clamoring for a sequel. 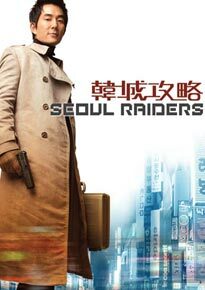 Regardless, they made one anyway: Seoul Raiders. Director Jingle Ma, whose last film was the egregious Silver Hawk, brings back Tony Leung Chiu-Wai as Lam, the toughest Chinese private eye in Tokyo, and a secret member of the Japanese Security Bureau. Lam is essentially a secret agent who possesses free reign to engage in whatever law enforcementor chaos-creating undercover activitythat he chooses. His latest target: "The Avenger", a set of flawless counterfeiting plates created by Middle Eastern interests as a way of sticking it to the United States. Lam steals them from a lockup in Central, and manages to escape with a pack of suit-clad baddies AND cat burglar JJ (Shu Qi) on his tail. But Lam is double-crossed by his CIA contact, Chinese-American agent Owen (Richie Ren), who drugs Lam and takes off with the plates. Doh! Owen plans to sell "the Avenger" to Polar Bear, a mysterious Korean gangster who's wanted by every law enforcement agency around. Ergo, Owen heads to Korea and Lam follows him. True to his established modus operandi, Lam quickly enlists a trio of hot Korean babes to act as his entourage. Played by virtual unknowns Choi Yeo-Jin, Cho Soo-Hyn, and Cho Han-Na, the girls are all too happy to drop whatever it is they're doing when Lam whistles. Besides being a super-cool secret agent, Lam is apparently an incredibly popular ladies man who has women in every country at his beck and calleven though he seems to have no desire to touch them. The women hop on board the Lam vs. Owen train just in time for a series of nonstop chases through Korea's clean urban streets. Meanwhile, JJ shows up wanting a cut of Lam's action and the Korean bad guys glower, overact, and generally act ineffectual. All this, plus fighting and an abundance of smarmy acting by Tony Leung Chiu-Wai. Somehow this is all supposed to be amusing. Amazingly, it is amusing, though in the slightest way possible. Seoul Raiders has a ridiculous concept that's thin even by Hong Kong's usual paper-thin standards. Jingle Ma has referred to his Raiders franchise as a Hong Kong James Bond, but Bond would never get worked up over cases this silly or bad guys this inept. Even though there are supposedly serious things at stake (lives, economies, possible terrorist interests), it's all put aside for the jokey, smarmy antics of Tony Leung Chiu-Wai, who's billed as the most super-cool Asian spy EVER. Granted, since Chow Yun-Fat is no longer available, Tony Leung Chiu-Wai is probably the coolest Hong Kong actor around, and he gamely mugs and smirks his way through the incredibly slight script. Richie Ren is a likably dopey foil, and Shu Qi barely registers enough screen time to charm. Jingle Ma and action director Alien Sit string things together with lots of obviously-doubled fight sequences and sometimes draggy cat-and-mouse antics. After a while, the chasing just gets old, and one has to wonder if anything else is going to happen besides the "Lam finds Owen, fights Owen, then loses Owen" pattern that gets repeated ad nauseum. Thankfully, the film does improve via a plot twist that's as obvious as it is welcome. Ultimately, sides are chosen, people put in peril, and Lam must save the day with more slow chase sequences and some thankfully-reduced smarminess. Once it's all over, everyone goes back to their current countries, and the possibility of a Tibet Raiders, Kuala Lampur Raiders, or maybe Istanbul Raiders is created. This is ultra-fluffy, audience-friendly entertainment at its most frivolouswhich is why slapping around Seoul Raiders for being mediocre (which it is), insubstantial (which it is), or just plain unnecessary (which it is) feels a tad too harsh. There are much better films than Seoul Raiders, and Tony Leung Chiu-Wai could even be judged as slumming, but the utter lightness of the production prevents it from becoming insulting. Unlike the first Tokyo Raiders, which injected some annoying soul-searching from Kelly Chen into the film, Seoul Raiders' brief attempt at emotional weight is played for laughs. The laughs themselves are not very substantial, but at least they're not bothersome. If it sounds like I'm shrugging my shoulders at this movie, you're not far off. Those who check out Seoul Raiders looking for another Kung Fu Hustle will be rightfully pissed off; this is recycled, unoriginal commercial filmmaking that's not inspired in any way whatsoever. Jingle Ma is not a director known for his originality anyway; not only does he rip off music from Kill Bill, but he recycles jokes from the original Tokyo Raiders as if they were supposed to be memorable, classic comedy. Big surprise: they're not. 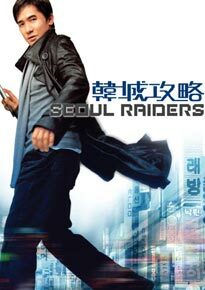 The funniest stuff about Seoul Raidersbesides a brief sequence with Shu Qi in dragis the fact that nobody other than Leung can speak Cantonese fluently. Some chase sequences go on far too long, and are weighed down by labored attempts at smarmy comedy, all punctuated by the omnipresent Tony Leung smirk. Jingle Ma rightfully leans on his star's established screen charisma, but sometimes a star can't do everything. Ma is credited with the direction AND the script of Seoul Raiders, and neither credit furthers the notion that Ma is a real filmmaker.